Birmingham goes ‘Ooh la latté’ for new French inspired coffee house! 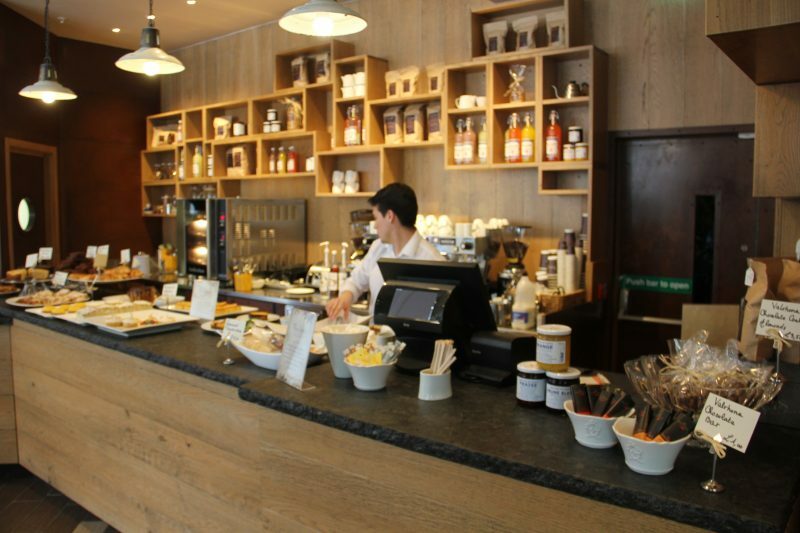 New French-inspired independent coffee house, ‘Madeleine’ has opened its doors in the centre of Birmingham. Located on Level 7 of The Cube, which is also home to the Marco Pierre White Steakhouse, Bar & Grill and Brazilian churrascaria restaurant Rodizio Rico, Madeleine is a welcome addition to the building’s already impressive portfolio. Owned by restaurant entreprenuer Mike Nayla, Madeleine serves a range of traditionally French style pastries and delicious loaves to complement the smooth taste of their artisan coffees, with the lunch menu including a range of fresh salads. Madeleine is committed to serving only the freshest of ingredients to visitors. Speaking of his new venture, Mike said: “Madeleine is a continuation of my investment into Birmingham. Since opening my first Birmingham restaurant Rodizio Rico in the city two years ago, it has continued to go from strength to strength and now sits comfortably on a par with my London restaurants. Madeleine is now open for breakfast from 7am with lunch from 11.30am. Future plans include afternoon tea and, with the venue being fully licensed, there are additional plans to serve a small selection of alcoholic beverages.